I’ve been working with light artist, maker and NESTA fellow Jo Fairfax, (of Jo Fairfax Studio) on an interactive wall prototype. He needed to have control over loads of motors which all move circular disks a set distance. 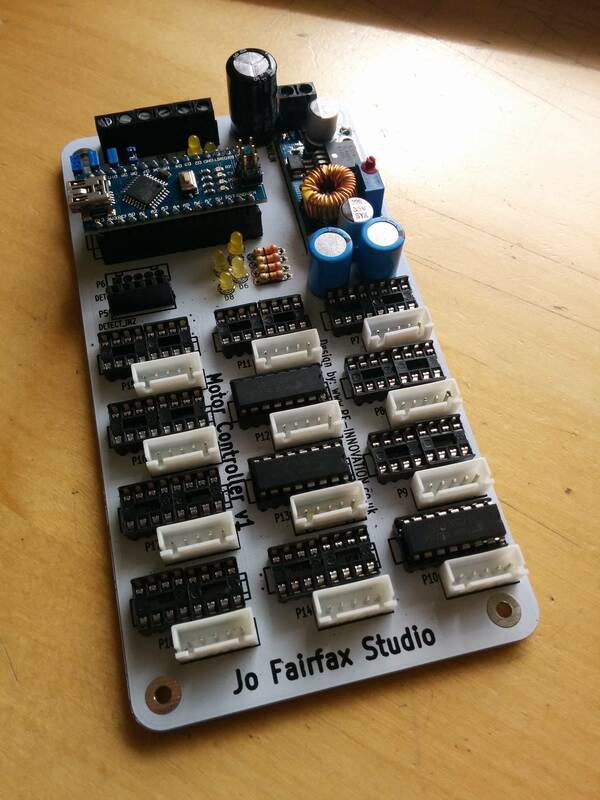 I designed a stepper motor controller unit to control up to 12 motors. 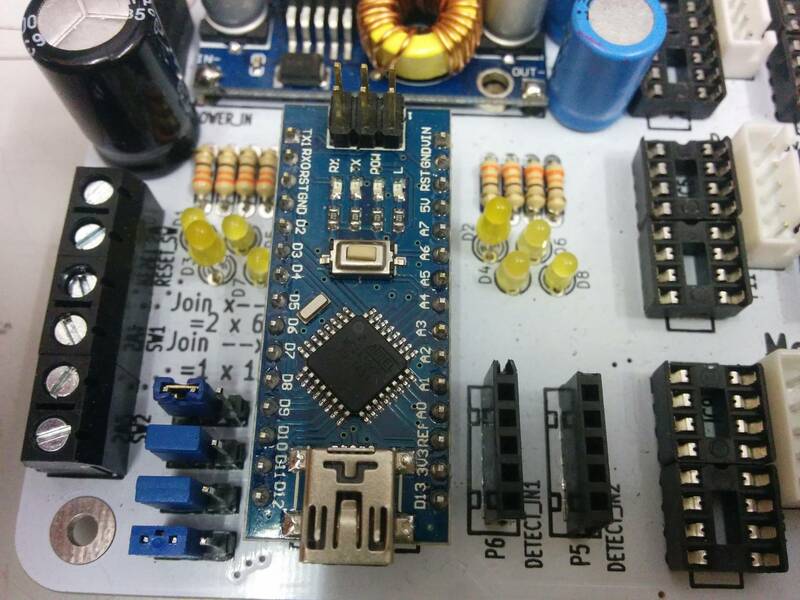 These can be repeated to produce very large arrays of stepper motors. The final effect is amazing, as shown in the videos here. The final results look great and the unit in these videos has 6 of the motor controllers to control 72 small stepper motors. Controls up to 12 small stepper motors, which can be configured into two banks of 6. Stepper motors all have individual controllers. Ultrasconic distance sensors detect movement. This meant we could program specific distances for the unit to react to and we found much more reliable than a PIR sensor. For input voltages up to 12V DC. We also implemented a reset to known position on start up so that the pattern stays true, even with a power loss. This was done by monitoring the input voltage (using a potential divider) and storing the position of the motors into EEPROM just before it powers down. This worked very well compared to our other options of mechanical reset switches. 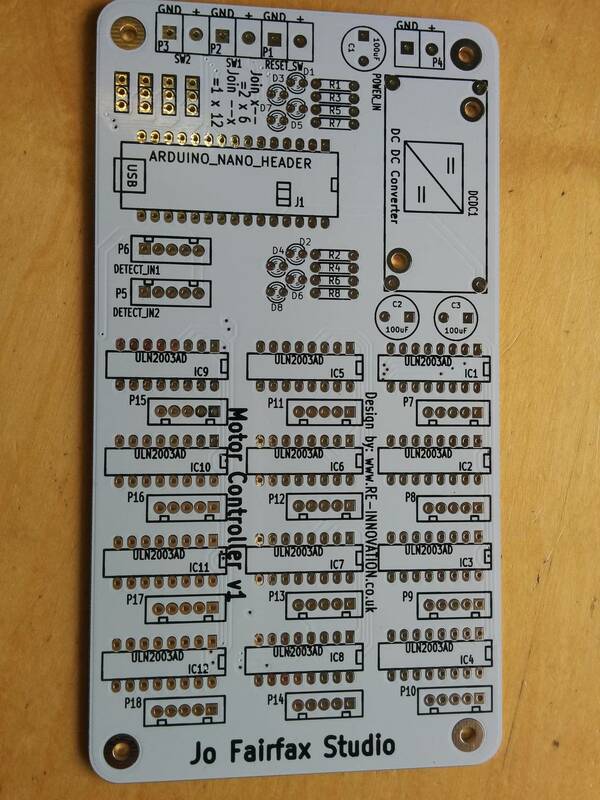 The PCB for the motor controller. The unit is based on the Nano (Arduino Clone). 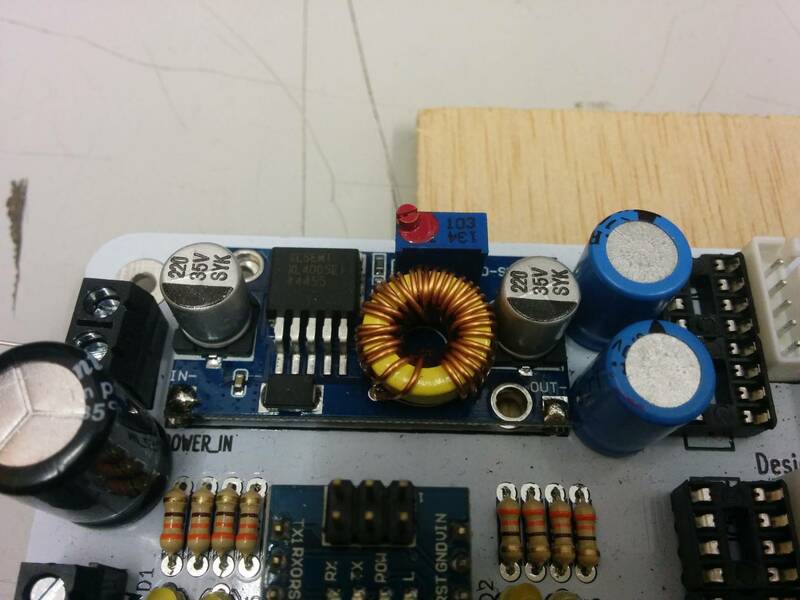 A DC-DC converter is used for powering the unit. This means we can power the boards at 12V, but the motors run at 5V. The prototype on the test bench. 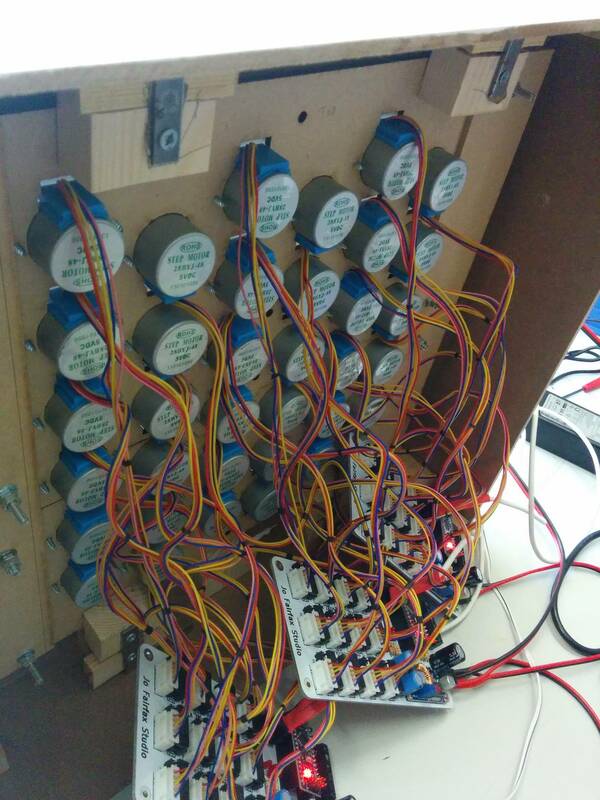 Lots of motors (72 in total) controlled by the boards (6 boards in total). This prototype version is a bit of a mess. 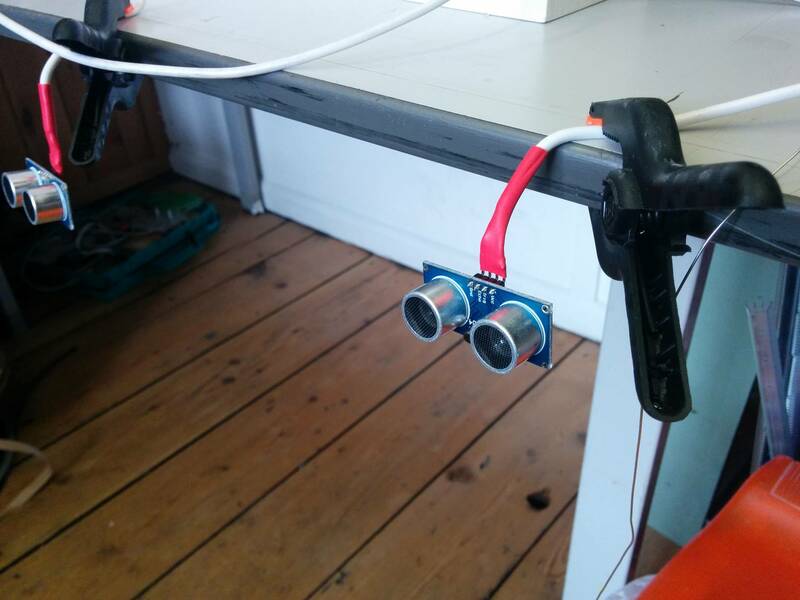 Ultrasonic sensors control the unit. 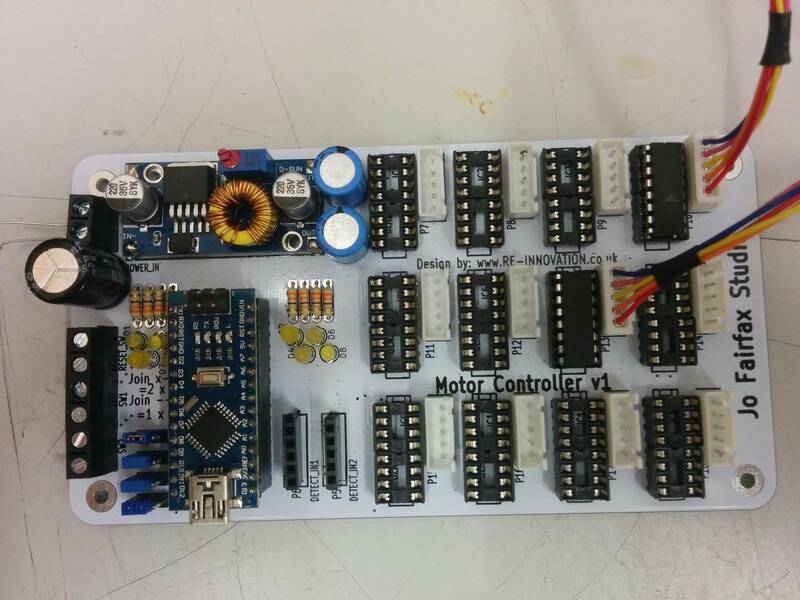 We wrote some Arduino code to control the motors, which is based upon AccelStepper stepper motor controller code. so this motor has a 4096 Steps . if there are two sets of 6 motors which can do different things. A3 This is the input voltage with a 100k/10k divider. Each time the PIR is triggered then the motors will move one position forwards. There are 4096 (approx) steps 1 rotation (360degrees). There are four positions we can move to. The end position wil always be zero. The input voltage is monitored all the time. This is used to record the last position of the motor before shutting down. This means the unit can reset when powered up. int previousStep = 0; // A holder for the position the unit was left in. // This means we can reset to zero when powered up. int stepCase = 0; // This is the next step movement to do. int modeCase = 0; // This is the main mode to do. // We want to move to zero again to start once more. 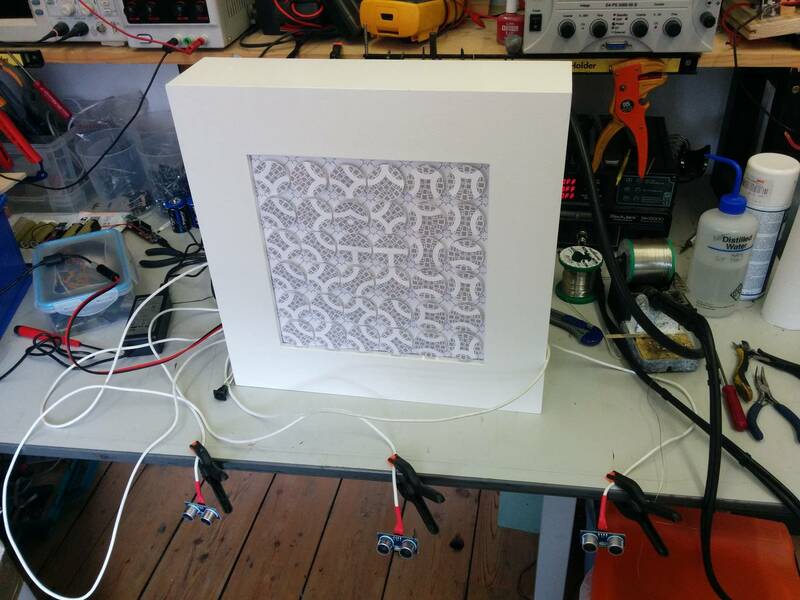 The prototype has already been shown at an exhibition in Wakefield.